Arctic Cat Details — UP&ONWARD CO.
Overview: The Wildcat leads the industry in strength and durability. basically its more or less a go-cart on steroids. 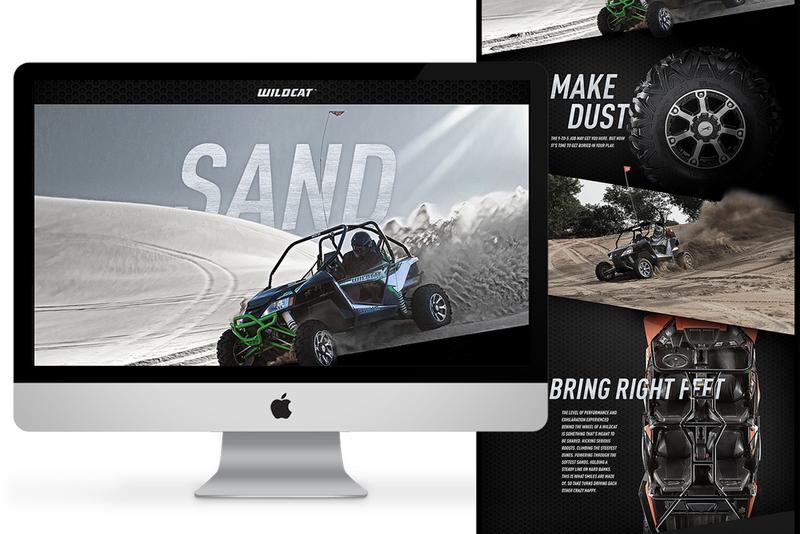 The Ask: Arctic Cat wanted to a website that acted as a digital brochure to show the Wildcat in action, specifically through the versatility on trails, rocks and sand.